The man, appointed as team leader, had 'no qualifications or experience' for the role. 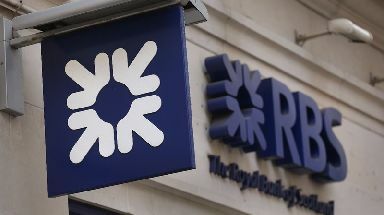 Royal Bank of Scotland is investigating complaints that an employee was appointed to a top role because he is a friend of a senior staff member. A man appointed team leader on the troubled Amethyst project is said to not have the required qualifications or experience for the role. The move is said to have sparked fury among colleagues. "You could not expect to be a team leader without having this knowledge" a source within the bank said. "There were times when his team wanted to challenge decisions but he had no knowledge and couldn't." It is also alleged that the man was paid nearly double what those with qualifications were earning and, damningly, that more experienced and qualified staff were removed from the project while he maintained his position. RBS chief executive Ross McEwan was made aware of the situation in July. The bank said in a statement: "RBS takes whistleblowing very seriously. "The bank was made aware of a series of allegations in July and is investigating them thoroughly. "No conclusions have been reached at this stage but the appropriate action will be taken in the event that any of the allegations are substantiated."